"Apple's iPhone 4 and RIM's BlackBerry Torch 9800 both succumbed to hackers today at Pwn2Own, but two other smartphones running Android and Windows Phone 7 were unchallenged, the contest's sponsor said." Yes, we're aware that having nobody trying to hack a Windows Phone 7 device sure helped. What we can take from this is that Windows Phone 7 devices aren't exactly easy to exploit. That's not to say that it can't be done. I'm sure it can. But it wasn't easy enough for someone to figure out in the few short months that the operating system has been released. It's only a matter of time before hackers do figure out an exploit. But hopefully Microsoft will have updates to close exploits as soon as they are discovered. One advantage I will say that may be in Microsoft's favor is that they have been very open to working with home brew developers. These developers often are the ones discovering exploits. Imagine that. Embracing hackers to increase security. 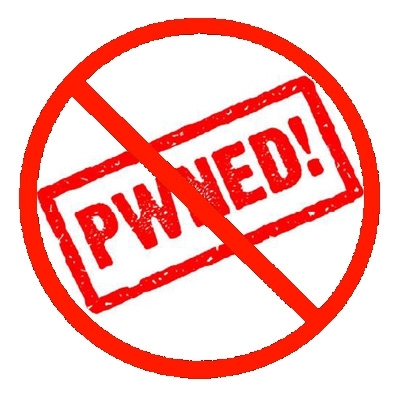 You have a big red slash through the Pwn2Own symbol suggesting that WinPH7 was unable to be hacked, yet you state that it was not even a part of the competition. And then you go on to state that this must mean that is is THAT secure??? Last edited by jimmyfal; 03-12-2011 at 08:50 PM.. The artical says they were 'unchallenged', not that they were unavailable for attempt. My guess, as Nelson put, it, the hackers hadn't found an easy way to do it. They don't come to these competitions blind, hoping they can discover something on the spot. They are 'professionals' who practice, have methodologies and have a purpose..winning. Maybe it was "unchallenged" because, MS kissed up with hackers and turned them to the "Dark Side"
1. They get to keep what they hack; it's possible that no one wanted a Windows Phone. 2. Android has proven to be, at the very least, vulnerable, and it wasn't hacked either. 3. Apple's stuff is the stuff they all go for first. Let me guess. This is all because Windows Phone 7 is so much more solid? Or is it because no one has seen or used one? Or is it because no one wants one? There's no basis whatsoever for the conclusion that it wasn't hacked because it's more secure. The only conclusion you can draw, based on the facts, is that no one bothered. I'd frankly find that more embarrassing than WP7 getting hacked if I were Microsoft.